I wanted to try these mitts because they’re top-down. I ended up improvising upon the design a little bit. The instructions aren’t always exact, leaving some inference up to the knitter. One change I made was to twist the mock cables (on either side of the main cable panel) in opposite directions, one being RT, the other LT. 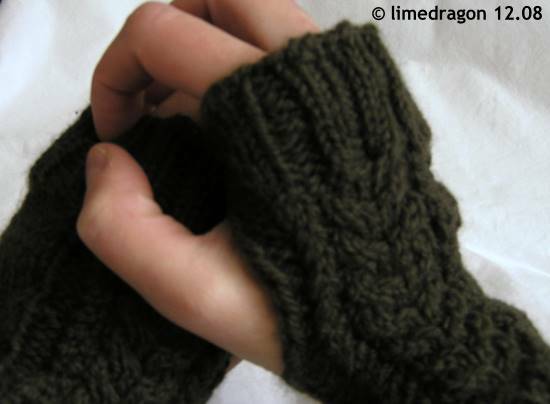 Since these mitts were designed to be interchangeable, the cable pattern is worked on both sides. I preferred my palm sides to be smooth or plain, so I did exactly that. 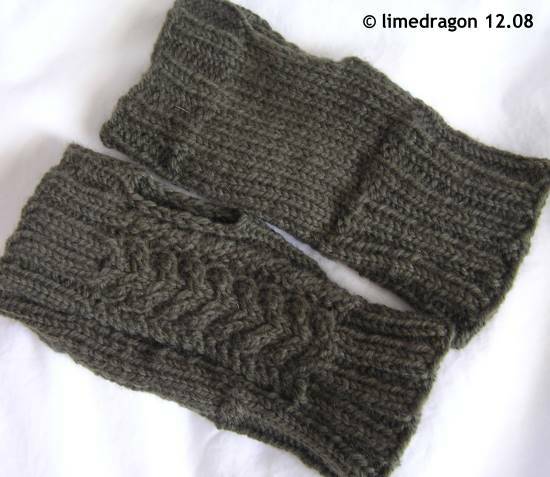 The palms are smooth Stockinette, which changes to ribbing where the wrist begins. 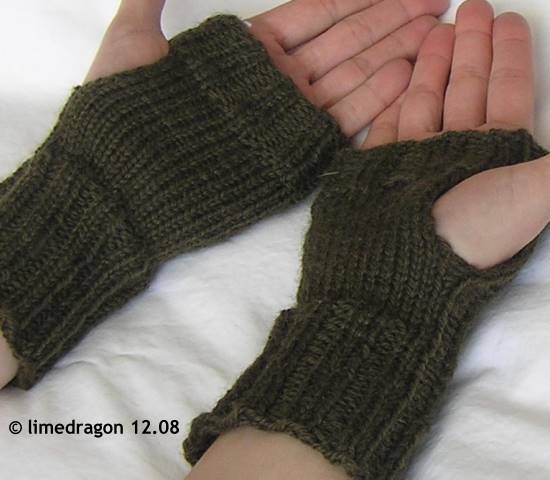 If you wanted to knit these with similar modifications, I would suggest shifting the cable panels 1-2 stitches away from the thumb sides. Mine aren’t as centered as I would’ve liked, and planning ahead would have helped a bit. YES!!!! That is something I learned the hard way. If you knit, knit, knit and give it all away then you end up with for yourself. 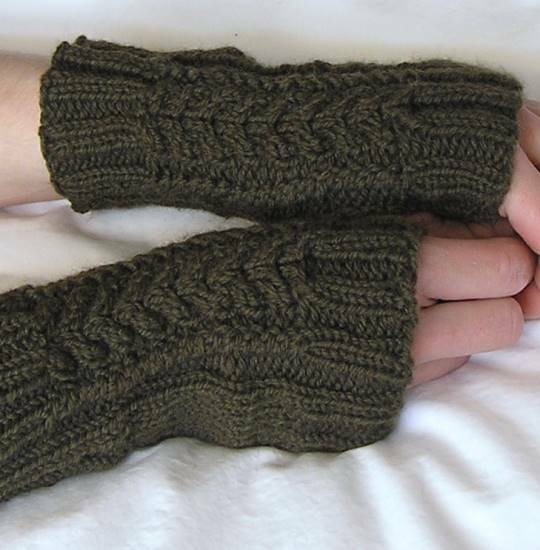 So definitely knit something for yourself no matter how hectic the holiday knitting is going. I gave everyone in my family knitted socks to wear Christmas Night and when everyone got up and opening presents in their handknitted socks, there I sat with store bought socks … thinking “duh” I should have made some for ME! Nice! And yeah, cabled palms would drive me nuts. Cabled palms would annoy me too. Nice mitts! I’ve always subscribed to the “one for you, one (or more) for me….” theory of presents/knitting/etc. Great mitts. Those will be a joy to wear. I’m loving cables right now, too. They look great – and really warm. Sweet mitts! They look so warm and cozy.